Steve, 63, passed away in his home with his children, family, and friends by his side. Surrounded by those who loved and cared for him greatly, Steve transitioned from this world to God’s. His Multiple Myeloma cancer fight was nothing short of courageous and he never stopped living life boldly and bravely through it all. Anyone who knew him could attest to the strength, will, and determination in which he fought this incurable cancer. His mother Louise died from the same cancer in 2011. Steve was the first-born child to Ronald and Louise Fertitta on Jan. 27, 1955, in Santa Rosa, CA. Steve’s initial childhood aspiration was to follow in his dad’s career footsteps as a butcher, but his professional goals quickly changed as he pursued college and discovered his own passions. He attended Santa Rosa Junior College and then transferred to Sacramento State University, graduating with a B.S. degree in Business Administration in 1980. He would later obtain his Masters in Taxation from Golden Gate University in 1985. Steve was most happy when he was with his son Austin, 20, and his daughter, Kyleigh, 18. He loved being their dad and being with them gave him the greatest joy in life. The three of them went on many adventures together—Giants baseball spring training, Hawaii, Mexico, Lake Tahoe, etc. In fact, Kyleigh and Steve were in Adventure Guides and both loved their father-daughter outings together. Another favorite pastime of theirs was collecting beach seashells and putting them in vases. 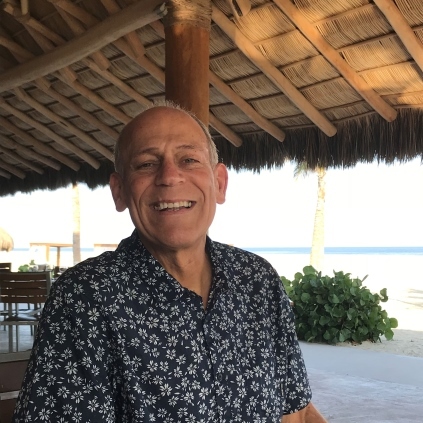 Throughout his life, Steve pursued his passions with extreme heart, and some included sailing, laying out on the beach, skiing, tennis, golf, reading his Bible and Wall Street Journal on a daily basis and following the Bay Area professional sports teams. He enjoyed staying fit and going to the gym with friends and especially with his son Austin. Steve definitely had a competitive side to him, but he also didn’t hesitate to give back to his community by coaching and serving on league boards. Steve was extremely passionate about insurance and his professional career successes were many. In 1983, he started his own benefits insurance brokerage, Fertitta Insurance Services, Inc., in Campbell, CA. Steve built his agency into one of the most successful firms in Silicon Valley. In 1999, Steve founded eGroupBenefits.com, an internet-based employee benefits firm in Roseville, CA. As CEO, he was one of the early pioneers in bringing an online platform to this market while still operating his brokerage office in Campbell. Since 2010, Steve was a benefits consultant at Filice Insurance Agency, Inc., in San Jose, CA. During his career, Steve also served a term as president of the Silicon Valley Association of Health Underwriters, a professional association for health insurance and benefits brokers. He was a strong man of faith and was a loyal parishioner at St. Mary’s Church in Los Gatos. He served as a Eucharistic minister for the sick and gave communion to the elderly residents at The Terraces. In addition, Steve served as president of the San Jose Chapter of Christians in Commerce twice, rarely missing a meeting. He unselfishly shared spiritual support and love to anyone who sought a closer relationship with God. Steve’s smile, spirit, wisdom, and his incredible ability to love and serve others will be missed by his family, friends, and colleagues. The family would like to thank Steve’s close friends, Kaiser Hospice, and Sally from Visiting Angels for their care and support, especially toward the end of his life. Steve is survived by his children Austin and Kyleigh Fertitta, his father Ronald Fertitta, his sisters Terri Fertitta and sister-in-law Ritzi Rizzitello, Lisa Ormond (Fertitta) and brother-in-law Randal Ormond, and nephews Gavin and Conner Ormond, and his cousins Mike Fertitta, Sherry Ardito, and Dianne Fertitta. Please join family and friends in remembering Steve on Saturday, February 23rd at St. Mary’s Church, 11 a.m. A Celebration of Life will immediately follow in Hoffman Hall, which is adjacent to the church.